I rescued Vesper Christmas of 2012, best decision ever! 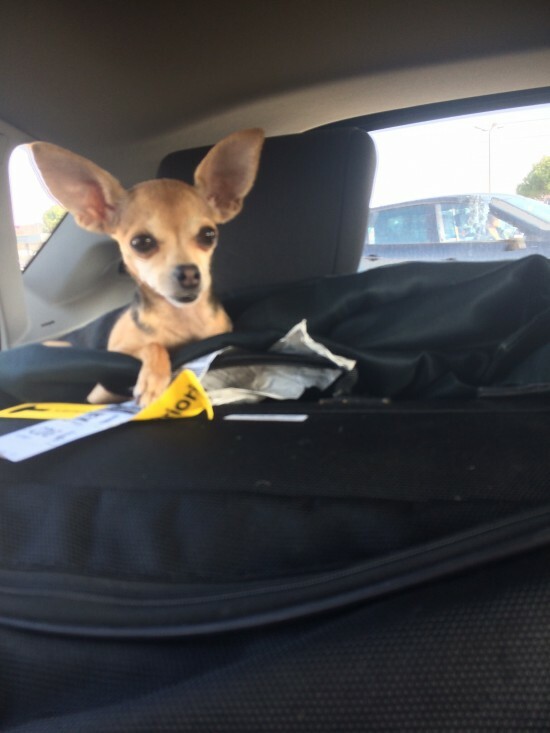 Vesper lived on the streets of L.A. scrounging for food and living the hard knocks life. We’re not sure how long she was on the streets, but it was a long time. I don’t know how she survived at only 3lbs, but she did. I rescued her from the Kitten Rescue Foundation and it’s been total bliss ever since. This spring she accompanied me to Paris. 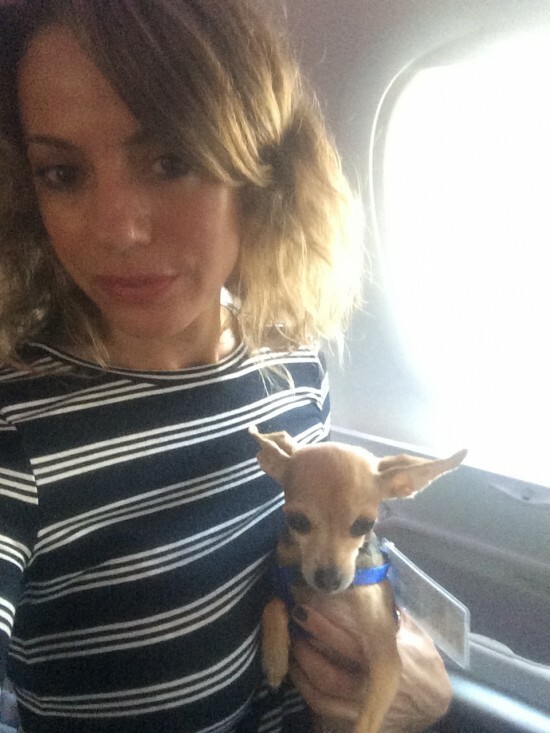 She went from sleeping on the streets to flying business class on the plush Air Bus 380 and staying at one of the most famous hotels in all of Paris, The Plaza Athenee. As soon as I put Vesper down in the room she ran around and felt right at home! I knew she was a princess at heart. The Hotel is a five star with all the luxuries. Once in our room housekeeping brought Vesper a linen towel, a dog bowl, and a bottle of water. They laid down the linen towel down and placed the bowl on top of it… all of this for my dog- amazing! Vesper deserves every bit of luxury. 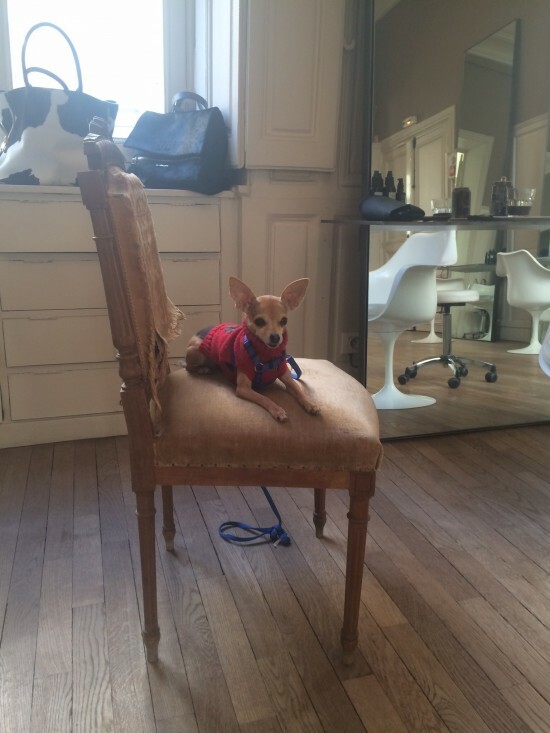 From pound puppy to The Plaza Athenee, this Chi has truly made it! First stop, Provence and then it was off to Paris! Exhausted from the long haul Vepser took a seat on our luggage to protect the fashion! 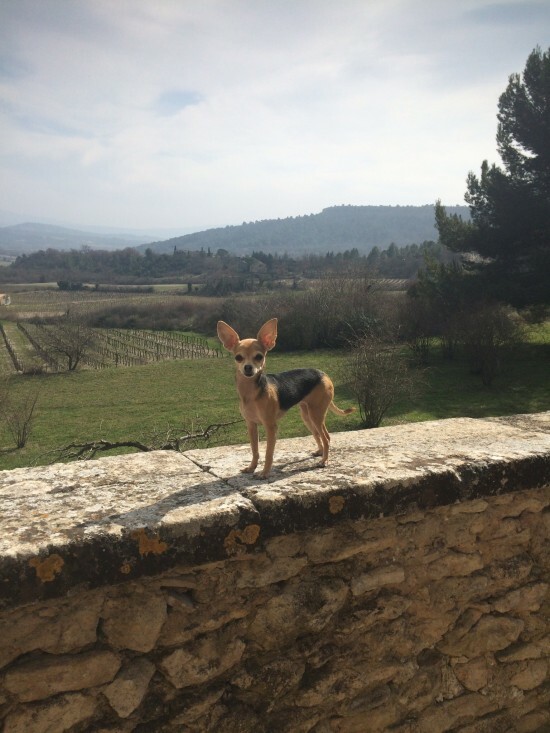 Vesper’s best pose in Provence! 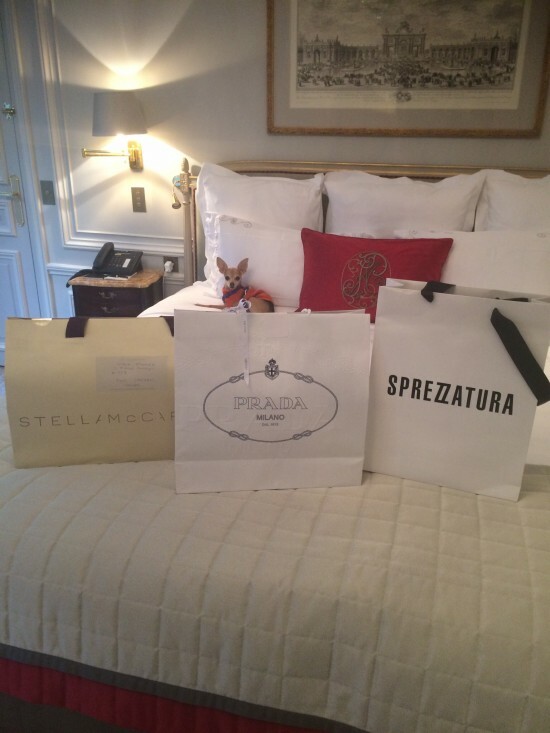 Vesper was exhausted from a day of shopping in Paris! When in Paris get your haircut at David Mallet Salon. They brought out a Princess chair for Vesper… obviously! Cruising around Paris when a french dude photobombs us! Palais Royale was a favorite of Vesper’s! Just a typical day lunching at the Plaza. Great photos of the luckiest dog in the world. Vesper is too cute for words! vesper has the life. This story would make a great chi movie. Great read. One of my faves. Thank you!!! HOS appreciates that! Vesper is the sweetest and cutest! I am so glad that I have had the opportunity to spend quality time with her. I am also happy, as she likely is, that a wonderful mommy adopted her! 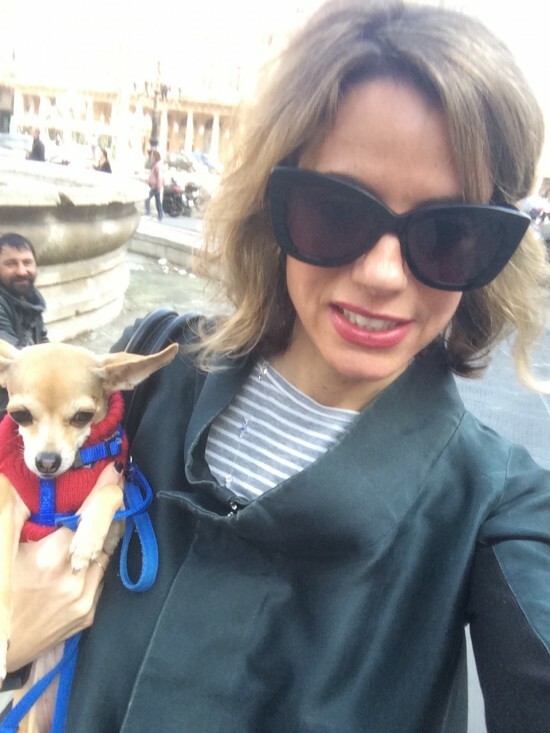 Vesper is so stylish along with her momma! I enjoyed the wonderful photos. Thank you for letting us know your whereabouts! Enjoy your summer!